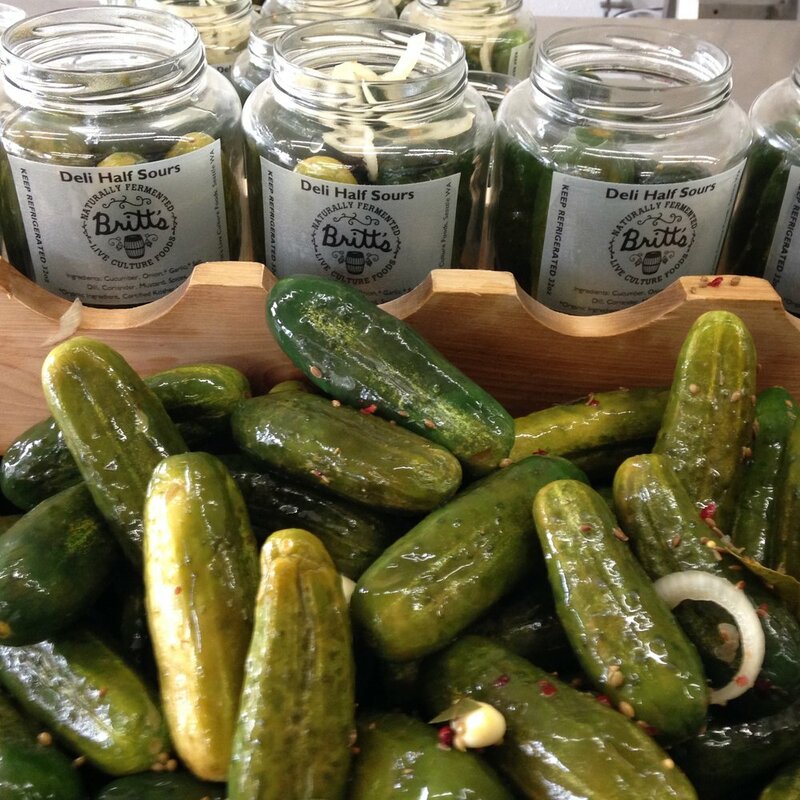 Britt’s Pickles is committed to providing great tasting, live culture fermented foods, and to promoting the benefits that these foods have to offer to human health. 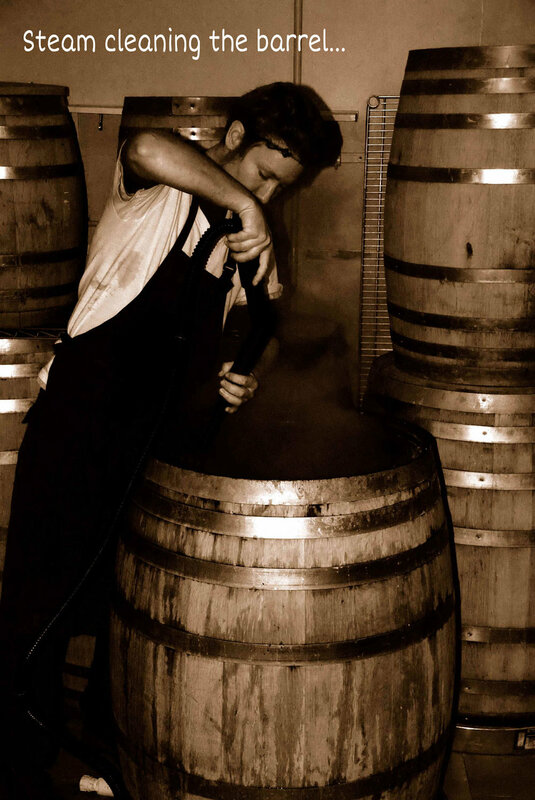 … Our unique process is based on traditional, fermentation techniques that have been around for centuries. Our ingredients include oak barrels, well water, sea salt, patience, and gratitude. We source quality natural and organic produce - local when available. We produce in small batches – 10 to 20 barrels at a time. The result is a product that makes for a happy customer. FRESH OUT OF THE BARREL! What do we mean by “Fresh Out of the Barrel”? When we harvest our ferments out of the barrels we get to taste the product for the first time. We all agree that the flavors are at their peak at this point in the fermentation process. How do these flavors develop? At the beginning of the fermentation process lactic acid bacteria, which are naturally occurring microorganisms in soil and on the surface of vegetables, begin to feed on the sugars in the vegetables and spices. That action produces lactic acid, CO2, and many different compounds and metabolites, all of which contribute to flavor. These microorganisms do all their work in an anaerobic (oxygen deprived) environment and in the dark. When the products are taken out of that environment they are exposed to oxygen and light. Changes begin to occur. Overtime exposure to light and oxygen effects the flavor and nutrition in the products as well as the bacterial and enzyme activity. Our goal is to provide you with the tastiest, most nutritious pickles, kraut, and kimchi on the market – direct from our barrels to you!